In the wolf hierarchy, there exists a ranking system. Dominance in a pack has more to do with confidence and strength of character than size or physical strength. Which means that contrary to popular belief, the Alpha dogs are not the snarling, ferocious ones, but the calm and wise ones. They know their place and don’t feel the need to prove anything to the pack. It’s the lower ranking members who are insecure and have something to prove to their peers. Spoiler alert: if you watch the wolf pack behavior videos, you will note that the ones with the most self-serving or bully behaviors don’t meet a good end. They usually get taken down by the rest of the pack to restore balance to the group. Natural selection. This same mentality transfers to the social media world. Social media platforms are stages for all kinds of behavior- the good, the bad and the ugly. I’m sure you have seen the nasty behavior, and the disappointing encouragement of it as well, but we will not dwell on those types today. Instead, we will focus on the paragons of excellence, the true alphas of the social media world, and what they are doing so well. These people consistently deliver class on a platter and raise the bar for the rest of us- we should learn from them. They do not engage with low-level behavior. They are positive, original, powerful, consistent and loaded with character. These are people you definitely ought to follow if you are not already. They operate on a higher plane because they are professionals, and their media presences reflect their level of excellence. They don’t think the way other people think. They freely share new ideas and insights, they encourage rather than tear down others, they offer quality content, and inspire their followers to consider new insights or angles. 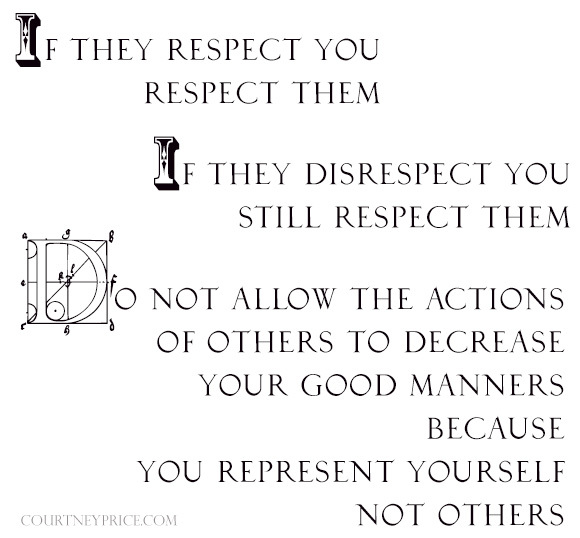 They are respected because they are respectful. They are interesting because they are interested in so many things. 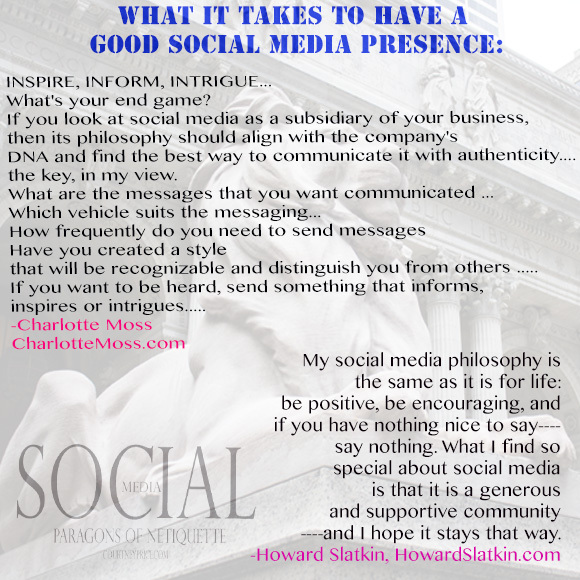 Spot ON, Charlotte Moss and Howard Slatkin. These two are loaded with class and character. 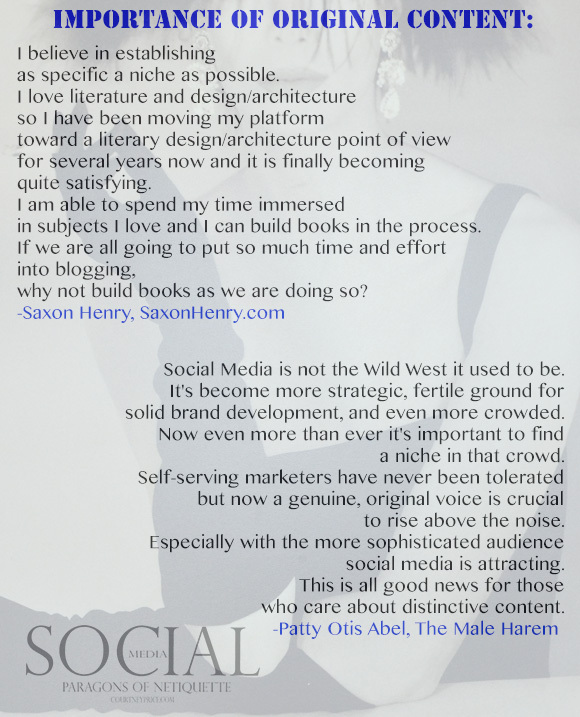 Like their glorious books, their social media presence delivers a boost of good energy and inspiration. Always. They each have a disciplined approach which suggests a bigger picture mentality. They are way too busy creating great things and living busy lives to get caught up in anything short of positive. 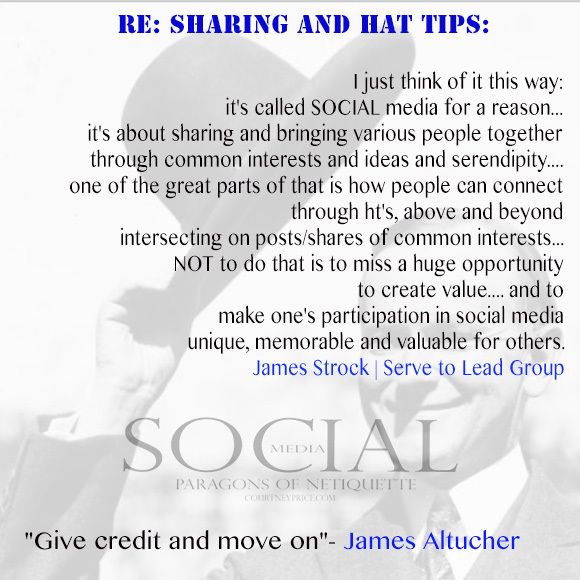 On social media, sharing is a display of respect that furthers the reach of good content. There is an unspoken courtesy rule regarding sharing. If you share, always acknowledge your source. That’s what a “hat tip” is, a simple “ht: Suzie M-” , linking back to her to let it be known that you found the article on your friend Suzie’s wall or blog or wherever. Courtesy. While simple, this quick step is often bypassed by those who would rather take the credit for discovering the article or post. People who don’t acknowledge their source must not realize that the source can usually see the share anyway, which leaves proverbial egg on the ill-mannered sharer’s face. Politeness doesn’t cost a thing… spread it everywhere I say. The only thing I would add to this is that, as important as sharing – is celebrating the achievements of your peers, and supporting them with likes, comments, engagement. It costs you nothing to boost someone else, so why not do it? Good begets good. Some people keep the SOCIAL in the media with great style. They interact gracefully with others in a genuine way, knowing that they are having a conversation with, rather than AT, real people behind the profile picture icons. They actually converse, which creates an INTERACTION. This approach requires more effort than simply throwing information out there with the hope that it will stick. 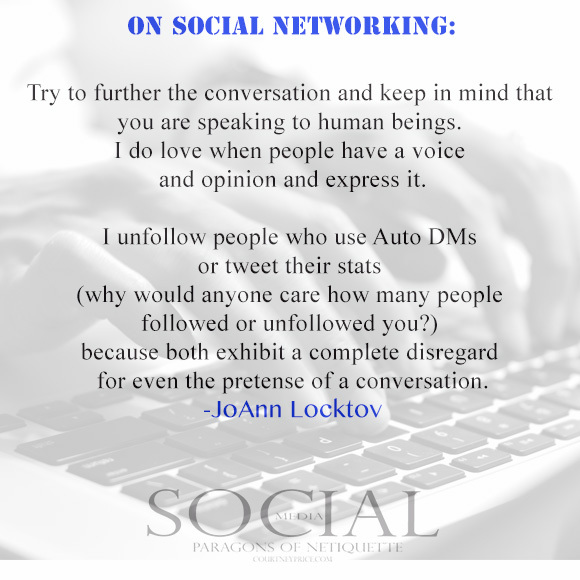 Publicist JoAnn Locktov is especially good at this, as evidenced by her engagement. The next one is especially for bloggers. Original content is important, and don’t ever forget it. For starters, if you steal a photo off of pinterest or an article idea from the web, don’t think you won’t ever get caught for publishing it on your blog. In today’s world there are too many ways to track duplicate content of all kinds, and it is simply not worth the headaches that could ensue if and when you get caught. That aside, consider why you are blogging in the first place. Don’t your readers matter? Wouldn’t you like to keep them? Why bore them with more of what they are already seeing elsewhere. Use that creative muscle and come up with your own content – it is safe to guess that you started your blog because you had a unique point of view to share with the world, right? Then we have Patty Otis Abel, the wordsmith who delivers intelligent writing with hilarious style- and she IS an original. She is also modest, so I will tell you: she ghost wrote a mega-famous iconic figure’s autobiography. Yes, really. I would want her to write my autobiography too; maybe I should get in line. Abel understands the importance of strategic content planning, also that quality is what will rise above the noise of the predictable content that floods our feeds. Get to know The Sultanette in her blog The Male Harem * and you will see that Abel has definitely mastered all that and more. James Altucher, in his book Choose Yourself, touches on the “Us” vs “Them” mentality that prevails online. The world wide web has given everybody a public voice. The choice of how to use it is individual, and unfortunately we see people gain the digital-courage to be vulgar and cruel from behind the computer screen, using it more like a hunting blind. What is even more disturbing is the mob mentality to join in on unkind barbs, to one-up them, as if ripping other people to shreds is the new wave of humor or the new method of gaining influence. Earlier, I mentioned the fate of badly behaving wolves in a pack. I can’t tell you what the fate is of online cowards who fire their missiles from behind the computer screen. I don’t know and I don’t care to focus on their bad energy. What I do know is that the people with strength of mind and character, THEY are the alphas, and they are worthy our focus. 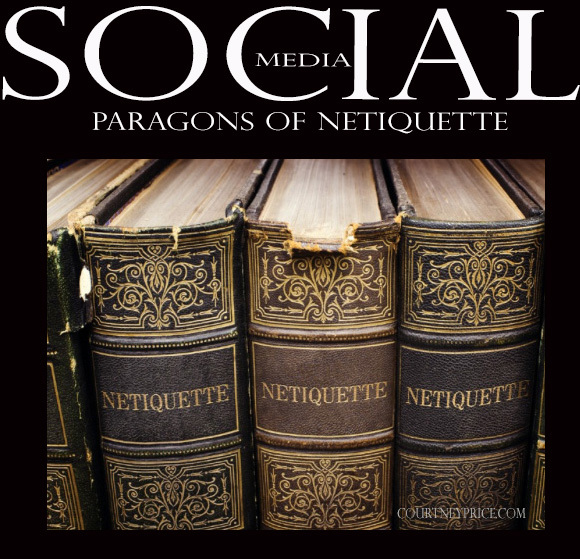 There is a lot we can learn from these Paragons of Netiquette, because they are the pros – and quality endures. So now I turn the conversation to you, because I would love to hear where you weigh in on these issues. Did any of these quotes particularly resonate with you? What elements do YOU feel are important for a good social media presence? Are there any untapped issues that I have not mentioned? In your experience of social media, which individuals or brands do you feel best represent online excellence, and why? Please share your thoughts in the comments, and also share this post to your social media platforms to keep the conversation going. Patty Otis Abel- After you meet The Sultanette over at The Male Harem you will be begging Abel to ghost-pen your autobiography. Follow The Male Harem on twitter. James Altucher is an American hedge fund manager, entrepreneur, best-selling author, and a frequent contributor to publications including The Financial Times, TheStreet.com, TechCrunch, Seeking Alpha, Thought Catalog, and The Huffington Post. USA Today named his book “Choose Yourself” among the 12 Best Business Books of All Time. Follow James Altucher on twitter. Nanci Besser– Read her thought-provoking article: Kindness: How To Disrupt The Duality of Social Media’s Influence. Follow her on twitter. 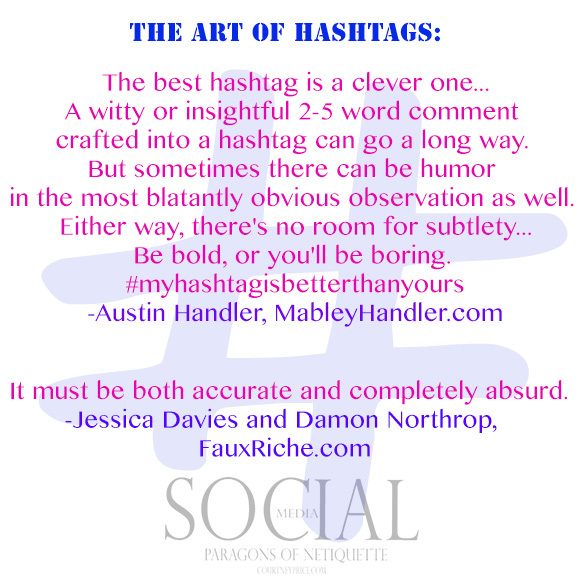 Jessica Davies and Damon Richard Northrop team up for one of the most hilarious concepts on social media: Faux Riche. See more about them on their blog, and whatever you do, follow them on instagram for some hashtag humor. 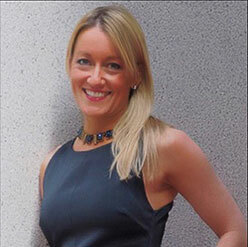 Austin Handler is the Handler half of the well-known Hamptons firm Mabley Handler Interior Design. Handler is über creative with his use of social media, and brilliant with his hashtags. Follow his instagram account for a fun feed. 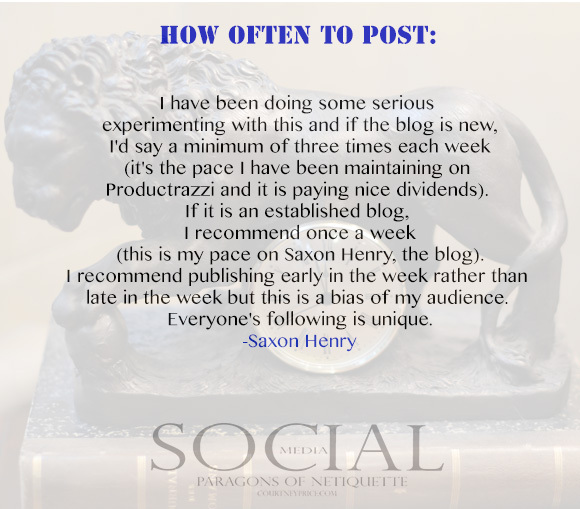 Saxon Henry– Published author, blogger, content provider for brands and bloggers. Sign up for her Blog to Book service. Follow her on twitter. Shelley C. Holmes is a magazine feature scout. 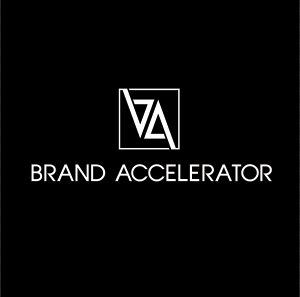 Twitter connector and accelerator, previously manager of a noted Wall Street firm and research associate to co-founder of Pixar. Follow her on twitter and instagram. JoAnn Locktov is the founder of Bella Figura Communications, a public relations agency that specializes in design and architecture. She is the author of two books on contemporary mosaics and writes articles on Venetian artisans and exhibitions. Bella Figura Publications is her new imprint dedicated to publishing books on Venice. Dream of Venice is the first book in the series, the next will focus on architecture in Venice. Follow her on twitter. Charlotte Moss remains true to her word, inspiring us with yet another gorgeous book: Charlotte Moss: Garden Inspirations. Award-winning designer, photographer, best-selling author (9 books), product designer, speaker, Wall Street Journal contributor, and philanthropist. I’m sure I left out something. Moss inspires, alright. Wow. Follow her on twitter and instagram. Howard Slatkin: Howard Slatkin’s philosophy is that a home should be a deeply personal refuge that gives pleasure and comfort, and in his book he shows everyone how this is done. Fifth Avenue Style: A Designer’s New York Apartment. Follow him on instagram. James Strock – Read his book and you might examine who you are serving with your social media style. Entrepreneur, professional speaker, best-selling author knows a few things about service. Serve To Lead Website, Serve to Lead Book . Follow him on twitter. So many fabulous nuggets of wisdom in here! The element I feel is most important is authenticity. I want to engage with real people and real personalities, flaws and all, vs. a character that’s been crafted to suit some social media ideal. Wonderful, Sandy, thanks! So glad you liked it. These alphas have sage advice for everybody who is online in today’s world. What a brilliant post—-/thank you Courtney for including me. It is filled with so much great information that it should be read by anyone who works or plays in the social media world. 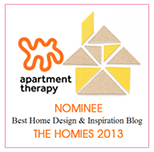 Your blog is an endless source of information and inspiration—–thank you. Thank you for being a part of it, Howard! I have always admired your content and your social media style. You are definitely an alpha. You think you really know someone… until you find out they are so much more than originally thought. Not only have you have written an article that causes the reader to Want to follow the people mentioned, to find out who these others are and why they exist online and in print, but you have shown that you, too, are truly a Writer, using prose to enlighten rather than dogma to hammer. One of the better-written articles I’ve encountered – not just “in a long time”, but in all. The question I have is: “Where is your book?” Not the design book; not the media book, not the “Day At The Museum” book, but Your book? Awww, thank you for the kind words, Carlton, appreciate it!